I'm trying to solve one big acne mystery. 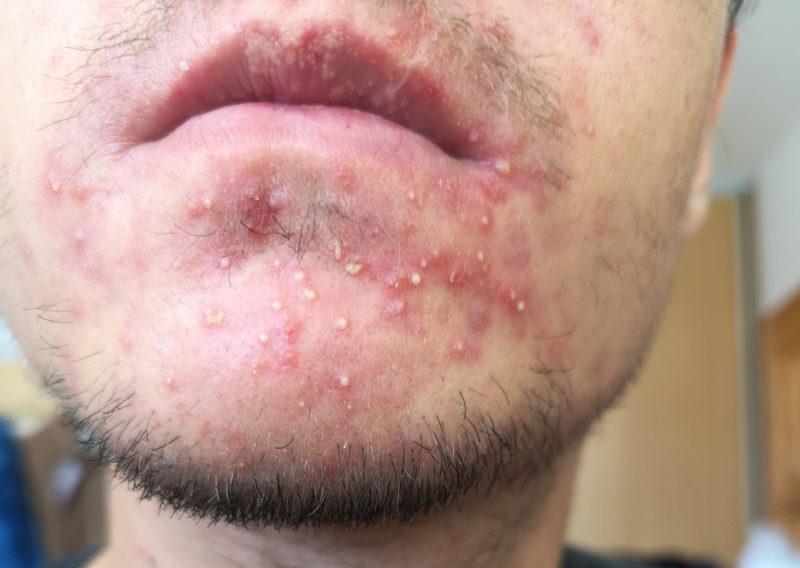 I've been suffering from acne almost 10 years now (I am 23 years old now) and I have tried many things but nothing has helped. Over those years I have eliminated foods that are breaking me out like dairy, sugar(chocolate, sodas, sweets etc. ), fried foods, potato chips, nuts, citrus fruit and processed meat (ham, salami...). These are foods that definitely worsen my skin condition. I have even tried for some time vegeterian diet as well as gluten free diet but those didn't help at all. The thing is, even when I stopped eating those foods, there is still something hidden causing my acne. I feel I'm getting close to finding what is the solution but I can't seem to connect the dots. But this summer something strange happened, that's the reason I call it a mystery. Well the mystery is: I am from Slovakia in Europe and I was graduating in June at my university back home and the skin seemed to be ,,normal'' - sometimes breaking out more, sometimes less, according to my knowledge in random patterns. But after graduation I left to New York, where I was working for the whole summer as Work and Travel student. And guess what happened. My skin cleared a lot there. It improved by 80% while I was in the States. Even my first food in the plane to USA was fried chicken (I had to eat it, imagine being hungry on 10 hour flight). And next days no pimples no nothing. Just like that, everything (not really everything, but ~80% is A LOT) changed in one day. Of course I was still on my diet, but occasional fries/ chips didn't break me out, only when I ate a lot of them. My condition started to get back to ,,normal''(my normal) by the end of August and by the September, when I left New York and started to travel (NYC, Miami, California), it was like back home again. By the end of September I got home and like a week after, my skin worsened a lot. It's been now two painful weeks and you can see on the pictures how my skin looks like most of the time now. Right picture is from today. I thought it's because I ate some grapefruits and pomelos during first days home as I know citrus fruit breaks me out. But then my skin improved and after three days it broke out again so I have no idea what the problem is now as I'm still on my diet. It's also good to mention that my type of acne is almost always white inflamed zits, most of the time around mouth and in the chin area. I get some of them on the back, shoulders and middle of chest as well. Sometimes a painful cyst appears, usually around ears or neck but most of the time it's those white zits. And my skin is really dry. 1. At home my skin is always dry, sometimes even flaky. When I was in USA, my skin was oily almost all the time (like really oily - but no acne). There are several external reasons I thought about. Either different air humidity, different hardness of the water or generally different weather. I have no idea about internal reasons. Only thing I know about - I read that avocado can moisturize your skin from the inside and I know I ate one half almost everyday (because it's really cheap there 98 cents wtf!!). But I'm not sure that 3 avocados a week can make your dry skin much oilier and if they can, who knows if the oiliness is my reason for clearer skin. Could this be the reason my skin started to break out in September - because I left perfect climate to travel across the country? 2. I had two jobs in USA, one of them was housekeeping, which is physically really demanding (don't do housekeeping, if you plan to go on WaT, believe me). Could I have some problem with insulin or IGF-1? I don't have a lot of movement at home and I was moving all day back in USA. Also something similar happened 4 years ago, I worked for three weeks in Czech Republic as construction worker (10 hours a day and even more physically demanding work) and I could even eat cheese back there and no pimples at all. What I noticed is, that when I wake up, my skin is always calm and it gets more red and inflamed over the day, which can be happening because of eating food -> increasing insulin levels. Other thing is, I tried water fasting two times (no food, just water) for 3 and 5 days, respectively. Both times my skin got clear for like a whole week after ending the fasting. But when I tried intermittent fasting last year, it did nothing at all to my skin. Contrary, as my father has diabetes, I had possibility to take that blood sugar test they do and my sugar levels were normal before as well as after eating food with carbohydrates. 3. Stress levels. As I'm graduate, I'm going through big change in my life right now, which can be really stressful. I delayed this stressful time period with my visit to USA and closer it was getting to going back home and to looking for a job, the more stressful was I getting. I really hope there is someone, that could help me and thank you if you have read all of that. I want to help you because it sounds like we may have gone through a few of the same things. One thing that may be effecting your acne is your diet. Take a look at the things you eat and drink throughout the day. Try drinking a gallon of water every day and drinking only water. Sugary drinks and foods effected my skin heavily. Also if you drink or eat any dairy products, try taking a break from them. Dairy cows are treated with artificial hormones which can throw human hormone levels off significantly. Another key thing about our face is that it is very sensitive. I also had very oily skin and tried using a fragrance and oil free facial cleanser. It worked great but I started to see great results once I got a facial moisturizer with vitamin C or collagen. Another great stress reliever that could be a possible lead to your breakouts is the amount of exercise you are getting. Try excercising for 30 minutes a day and immediately after wash your face off with lukewarm water. This allows cell waste and toxins to escape your body. The number one is going to be your diet. Orange and yellow fruits vegetables are great for your skin so try digesting more of those. And once again try cutting out dairy products and saturated fat foods or drinks high in sugar. The second most important aspect is your skin routine. I used an exfoliating brush and this upped my game up heavily because it helped clean out all the toxins hiding in my pores. You also want to make sure your skin is hydrated so you want to get a skin sensitive facial moisturizer you apply after a facial cleanse. 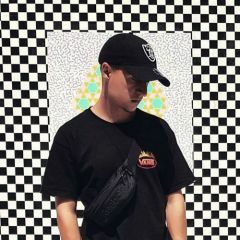 attached are the products I used that you can buy for cheap on Amazon. I really recommend trying these products and following the steps I told you above. Make sure you stay on this plan consistently in order for it to work.